The ATOS Endowment Fund was established to financially assist ATOS chapters engaged in theatre pipe organ projects and/or programs which will have a lasting impact on the preservation and/or presentation of the theatre pipe organ as an historically American instrument and musical art form; projects and/or programs of particular historical or scholarly merit; and other projects and/or programs as approved by the ATOS Board of Directors. The opportunities for giving to the ATOS Endowment Fund are almost unlimited. A gift may be large or small. Most members and friends of ATOS find themselves in a position of holding appreciated assets that would make wonderful gifts to the Endowment Fund. Gifts of cash, securities, real estate, art objects, jewelry, bequests, life insurance, and individual retirement accounts are just some of the many ways in which you may contribute to the Endowment Fund. You are encouraged to consult with your attorney regarding your many options for giving to the Endowment Fund. The most practical gift to the ATOS Endowment Fund depends upon your individual circumstances. Not everyone is able to make a sizeable cash or real estate donation during their lifetime. That means that most ATOS members and friends will contribute through bequests, life insurance, IRAs, etc. By selecting one of these methods of giving, you will control the ultimate distribution of your estate. You will be able to make a lasting contribution to a cause you believed in during your lifetime. Because the American Theatre Organ Society is a 501(c)(3) non-profit corporation, all donations to the ATOS Endowment Fund are tax deductible. Members and friends who are interested in contributing to the Endowment Fund should consider the beneficial tax implications of a gift of long-term appreciated property. Marketable property -- either securities or real estate -- should be reviewed. In many instances, a gift of property itself is likely to be more tax advantageous than writing a check. How do I make a gift to the ATOS Endowment Fund? Those who are planning on leaving assets to the ATOS Endowment Fund after their death must have a will or trust. Such documents provide instructions for the distribution of one's possessions after death. Ideally, these documents should be drafted by a qualified attorney, preferably an estate planning specialist. A will or trust should specify the names of the beneficiaries, as well as the shares in percentages. If you desire that all, or a portion, of your estate go to the ATOS Endowment Fund, your will or trust must specify that you are making a bequest to the ATOS Endowment Fund. The exact percentage of your estate that you wish to donate to the Endowment Fund must be stated. It is easy to change an existing will with an addition known as a codicil. Trusts are easily changed by adding an amendment. A codicil or an amendment will modify only those provisions to which it specifically refers. However, if major revision is needed, it is usually better to have your attorney prepare a completely new will or trust. Remember, a bequest may be in the form of cash, securities, real estate, life insurance, individual retirement accounts, jewelry, art objects, or virtually anything of value. While living, any individual or couple that arranges a bequest to the ATOS Endowment Fund is immediately eligible for Heritage Guild membership, with special recognition in the ATOS journal, Theatre Organ (with the donor's permission). Those who strongly believe in the preservation of the theatre pipe organ and its music will want to help guarantee the future of this great instrument. By making a donation to the ATOS Endowment Fund, you can be assured that your gift will continue to support of this great cause long after your death. By executing a will or trust, you will have made provision for your family, friends, and the institutions of your choosing. You also will have gained greater peace of mind knowing that the assets you have acquired during your lifetime will be distributed according to your wishes. If the ideas presented here interest you, we will be happy to send you information on Estate Planning and Donor Information. If you have any questions, please do not hesitate to contact the ATOS Endowment Fund Office. All inquiries are kept in strict confidence. Please note: you are urged to obtain the services of a qualified attorney to assist you in your estate planning. The ATOS Endowment Fund has become a flagship program of ATOS, which directly benefits local chapters and theatre organ installations worldwide. As such, donations to the fund are certain to make a lasting impression on the organization and the theatre organ artform as a whole. There are no hidden administrative expenses deducted from your gift when you give to the Endowment Fund. This fund, seperate from ATOS general operating funds, is professionally managed by a separate Board of Trustees, which is accountable to the ATOS Board of Directors. The ATOS Endowment Fund assists ATOS chapters or other not-for-profit organizations engaged in theatre pipe organ programs or projects which will have a lasting impact on the preservation or presentation of the theatre pipe organ as a historically American instrument and musical art form; projects or programs of particular historical or scholarly merit; and other projects or programs as approved by the ATOS Board of Directors. Since its beginning, the Endowment Fund has paid out over $200,000 in grants. Only one application per applicant per year will be considered. 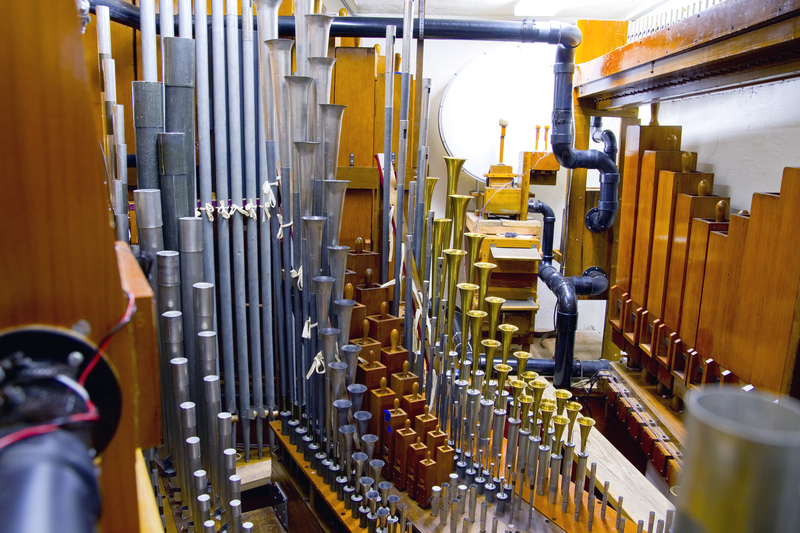 All grant applications involving a theatre pipe organ, or component(s) thereof, will be subject to review by the chair of the ATOS Technical Committee. Completed applications must be received by the Endowment Fund Board of Trustees not later than March 15, 2019.